As a kid, I remember being scrubbed down so hard during bath time that sometimes it felt like my mother was scrubbing the brown off me. 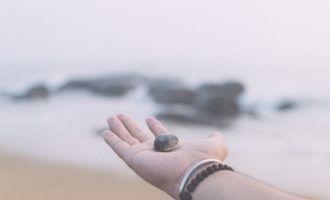 Now that I think back, my mother was applying her version of Garshana, an Ayurvedic technique of dry massaging the skin to brush of dead skin and detoxify the body. 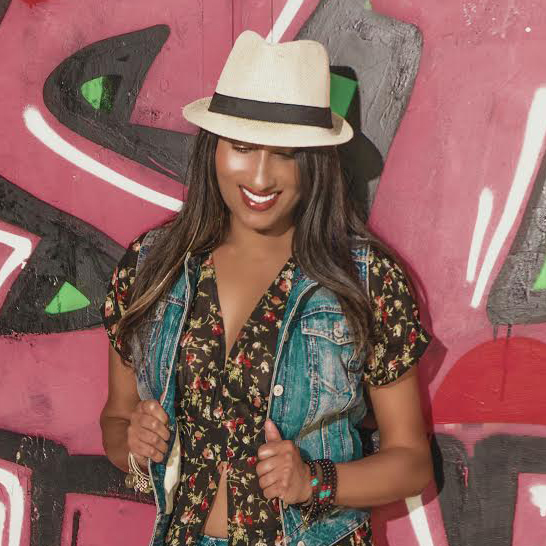 Over the last decade as I’ve deepen my knowledge of holistic health and reclaimed much of my Indian heritage through ritual and remedies I often find myself expressing deep gratitude for my childhood experiences and dare I say – mom was right. Dry brushing is exactly that, brushing the skin while it is dry. Typically, it’s done in the morning before showering. The skin is brushed in an upward stroke starting at the feet and working your way towards the heart. The entire process takes just a few minutes but the benefits last a lifetime. In 2014, I was inspired by a post I read by The Food Babe around Dry Brushing and decided to revisit this technique, this time in a less painful way. 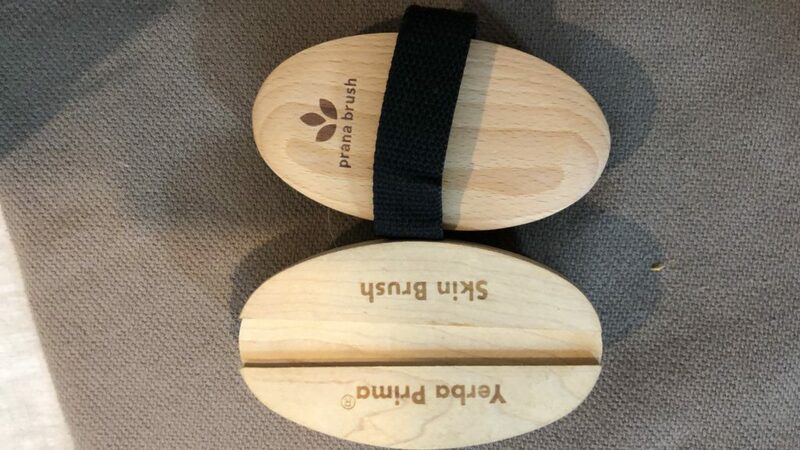 I purchased the Yerba Prima Tampico Skin Brush made from Tampico fiber which is the unbleached stem of the agave plant. I gave it a solid try for a few weeks and then stored the brush away on my shower caddy. Why? To be honest, it hurt … a lot! The brush was either too abrasive for me or I was applying too much pressure, leaving me with stinging micro cuts. I traded the brush for a cloth glove that I got during my Korean Spa experience at WI Spa and continued to practice my own version of dry brushing. Note: If you have sensitive skin the cloth glove is a good alternative. Fast forward to 2018 – A couple months ago I felt the urge to give dry brushing another try, it’s gained in popularity which means there are more products available. 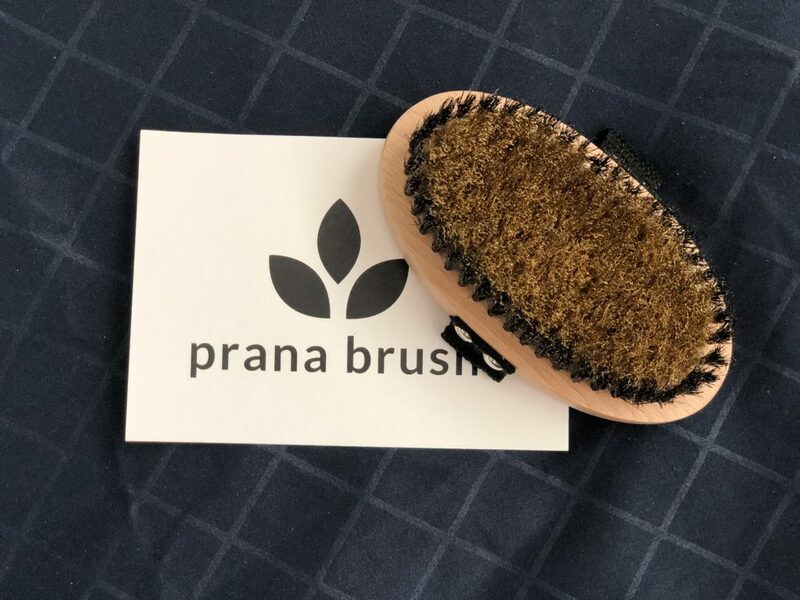 The Universe must have gotten my memo, a few days after having the thought I received a message from the team at Prana Brush sharing info about their new dry brush made of copper bristles. They asked if I would be interested in trying out their dry brush and sharing my feedback, of course my answer was yes. I couldn’t wait to get my dry brush game on. The dry brush arrived 2 weeks ago and I’ve been using it since so I can share my experience here with you. But before we talk about what brush to use, it’s important that you know why I (and you) would even be interested in dry brushing. One of the major and most touted benefits of dry brushing is lymphatic stimulation. This system is responsible for catching and eliminating waste from cells, environmental toxins, and other pathogenic organisms. When these toxins are not eliminated (i.e. lymph stagnation) they lead to colds, fatigue, low energy, and even mood swings. Unlike the blood circulation system which has a pump to create movement, the lymphatic system relies on muscle motion for circulation. One of the many reasons regular physical activity, even when you’re feeling under the weather is extremely important. With that being said, dry brushing the skin gently stimulates the lymphatic systems for some daily detox. Here’s a fun fact: In one year, you’ll shed about 8 pounds of dead skin, imagine that. If you want to see it, just get a Korean scrub, they make sure to show you the dead skin they’ve sloughed off. It’s not pretty my friends. Much of this dead skin lingers as a layer on top of your skin making it appear dull and dry. Dry brushing gently exfoliates your skin and removes this dead skin leaving it looking softer and cleaner. This is a natural by-product of detoxification. By clearing out toxins and stimulating circulation the body begins to run efficiently like a well-oiled machine. Chemical and hormonal signals are clearly communicated and as a result you look, feel, and perform better. Because every body is different, finding what works for you will require some trial and error. What I’ve learned from experience is to apply gentle, very gentle, pressure when you first start dry brushing and work your way to firmer pressure as it’s comfortable for you. One thing to note, gentle pressure may feel like your brush is barely touching the skin, that’s completely okay. 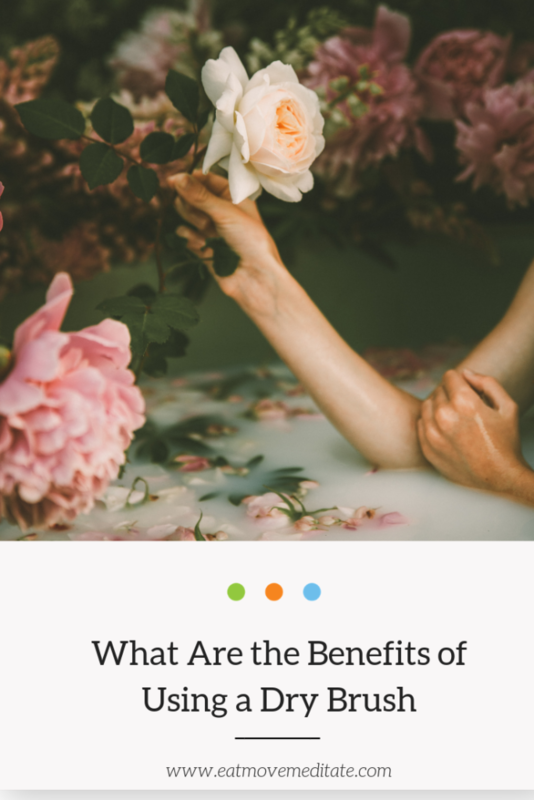 You’re still getting all the benefits. Because I feel the energizing effects of dry brushing I prefer to do this practice in the morning before my shower, this is the general recommendation. The entire process may take 3-5 minutes and could be longer if you’d like to spend more time or choose to repeat brushing. Personally, I don’t dry brush my face because it’s quite sensitive, but I have read that you can dry brush your face using brushes that have softer bristles. 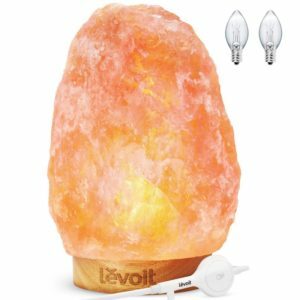 Also, your skin may appear a light hue of pink after dry brushing but shouldn’t sting or burn. If it does, then you want to apply less pressure. It’ll take a little trial and error. Once you’ve completed your dry brush ritual, shower as you normally would and then moisturize your skin. I recommend using coconut oil for your post dry brush/shower skin hydration. I replaced all other lotions and oils with coconut oil a couple years back and my skin is softer than ever. Just a note, I don’t use coconut oil on my face for the same reason I don’t dry brush it… my face is very sensitive. As I mentioned above, the general recommendation is to dry brush in the morning time which is what I do. But, I have tried both morning and night dry brushing before deciding that morning works best for me. I recommend trying both and discovering what’s best for you. You can dry brush daily if it feels comfortable for you. 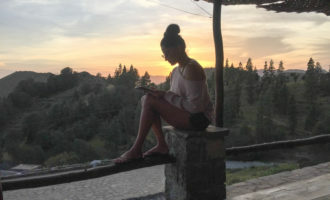 In the beginning, I recommend committing to a 30-day practice to observe the benefits of it. Then adjust for what works best for you. At minimum dry brushing 3 days a week. So, What does dry brushing do for your body? 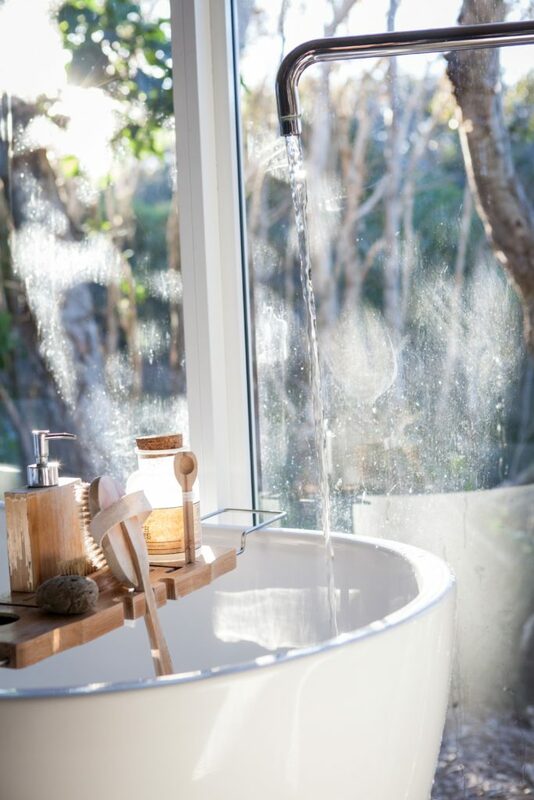 Aside from being the hot new wellness trend that all the celebs are doing, dry brushing has some real health benefits that cleanse and detoxify the body inside and out. 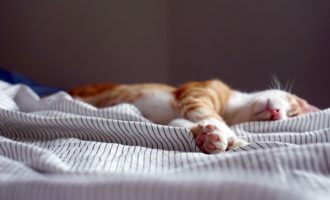 In the few weeks, I’ve been dry brushing I’ve noticed a bit more energy in the mornings, which is huge for me given that the winter blues really hit me hard. My skin is smooth and soft, but hard to tell how much of it is due to the dry brush vs. my coconut oil routine. I do believe in the detoxifying benefits which are often invisible and more long term. Personally, I have found dry brushing to be a wonderful addition to my morning ritual and self-care practice. 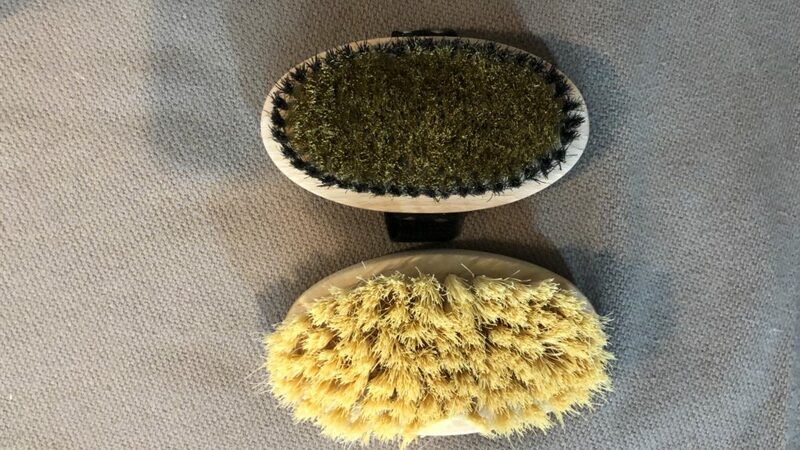 Because dry brushing has gained popularity over the last couple of years and I’m guessing it will continue to do so, the market will be inundated with new products. It’s hard to make a general statement about one brush being better than another because it’s really depends on your preference. 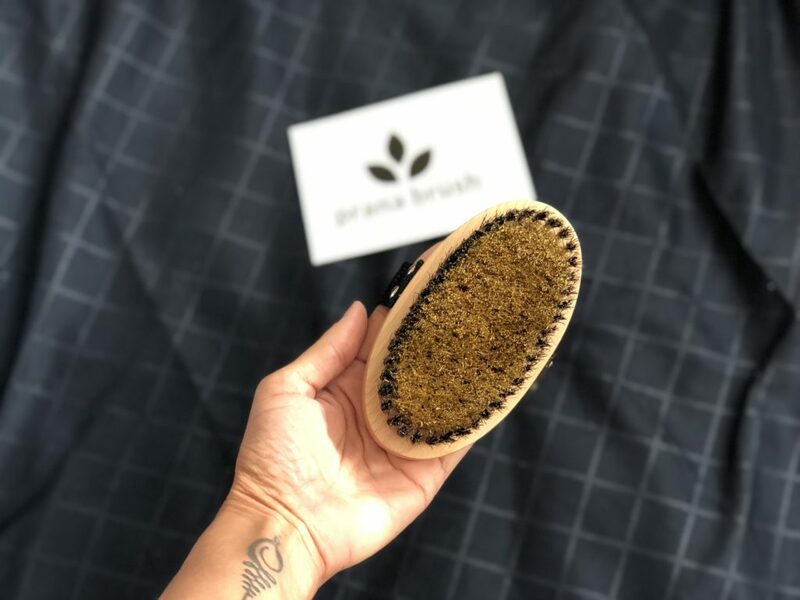 I’ve really enjoyed using this dry brush by Prana Brush, the copper bristles have just the right firmness, and feel great on my skin. And copper is meant to have additional detox benefits! This dry brush doesn’t have a long handle which makes it a little difficult to dry brush my back, but it’s not a huge issue. Keeping the brush close to my hand allows me to control the pressure better, which makes for a more comfortable experience. You know your body better than anyone else, please use your best judgement when it comes to trying out anything new. If dry brushing doesn’t feel good, leaves your scratches on your skin, or is painful … stop. If you have sensitive skin or suffer from skin conditions like eczema or similar, dry brushing may irritate your skin even more and void any benefits of it. Instead opt for gentler versions of exfoliation using cloth gloves or soaking in salt baths. The most important message I can leave you with is to listen to your body. There’s a million health habits out there, find what works best for you.